The 2016 Toyota Sienna has been named “Best Minivan” in the Best Family Cars of 2016 awards organized by Parents Magazine and Edmunds.com. The award will appear in the July 2016 issue of the magazine and can also be viewed online at the Parents.com website. Given that the Toyota Sienna is the only minivan on the market to offer all-wheel-drive (AWD), perhaps it’s no surprise. AWD gives parents the extra grip and stability they need to feel confident when driving in poor weather conditions. Still, a single exclusive feature isn’t enough to make a vehicle stand out in today’s automotive market. Edmunds and Parents Magazine took many factors under consideration to determine the winners of the annual competition, including the following: safety, kid-friendly features, ride quality, interior and exterior workmanship, controls and instrumentation, comfort and capacity, visibility, reliability, ergonomics, appearance, and special design features. That’s a whole lot of things to consider, which makes the Sienna’s victory in the minivan category truly stand out. According to Parents Magazine, the “endlessly roomy” interior and user-friendly controls were especially notable, but then again, these are the kinds of things we’ve come to expect of Toyota over the years. 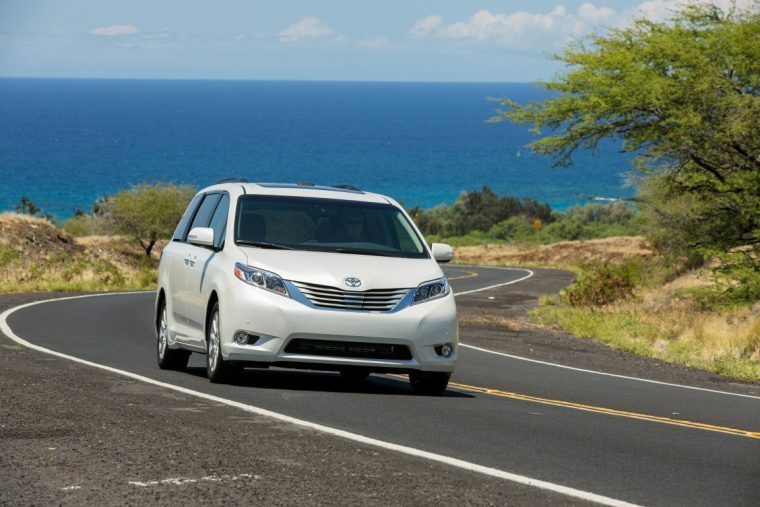 Thanks to neat features like the Dual-View Entertainment Center, which comes with a Blu-Ray player, HDMI input, and SD card reader, families are unlikely to run out of diversion during long road trips in the 2016 Toyota Sienna. Meanwhile, the standard Toyota Star Safety System adds all of the safety features parents need to feel at ease wherever they take the kids.